Conceived by Jacob’s Pillow in collaboration with lead partner The Berkshire Bridges – Working Cities Pittsfield Initiative, this year-long residency supported Berkshire-based artists and community leaders within educational, social, and economic justice organizations to develop a practice of storytelling and relationship building through movement. Led by Angela’s Pulse director Paloma McGregor and key collaborators, participants created a community performance that took cues from the people and stories of Pittsfield that was performed as part of the Inside/Out Performance Series on July 26 and at Berkshire NAACP’s 45th annual Gather-In Festival on July 28. To learn about some of our partners and the project in progress, visit Pillow Picks, read more about Pittsfield Moves! in Dance Teacher Magazine, and view more photos. Paloma McGregor is a New York-based, Caribbean-born choreographer whose work focuses on centering Black voices through collaborative, process-based art-making and organizing. McGregor is Co-Founder and Director of Angela’s Pulse, which creates and produces collaborative performance work dedicated to building community and illuminating bold, new stories. McGregor toured internationally for six years as a dancer with Urban Bush Women and two years with Liz Lerman/Dance Exchange; she continues to perform in her own work as well as collaborate on other projects in the realms of performance, visual arts, and social practice. 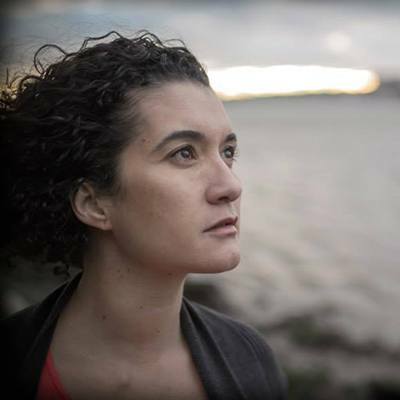 Read more about Paloma McGregor, Angela’s Pulse, and the Pittsfield Moves! Artistic Team. 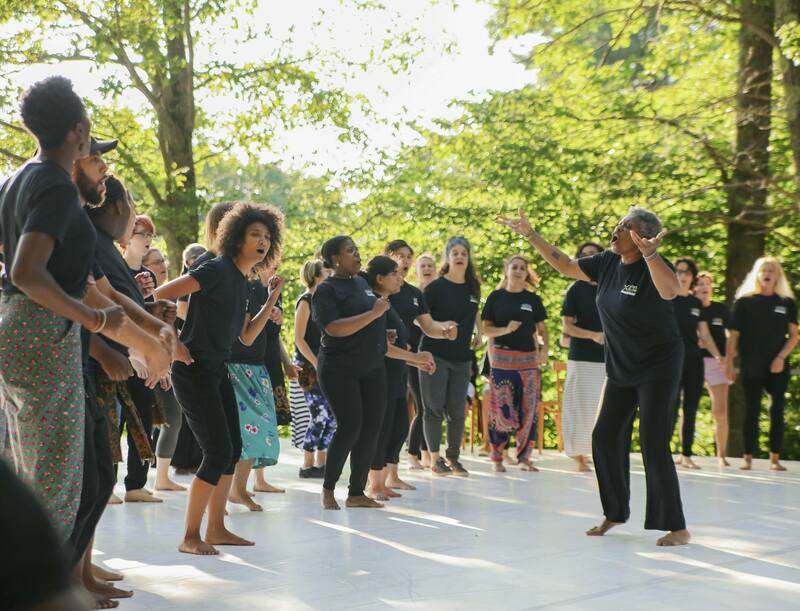 Jacob’s Pillow was awarded $300,000 from the Ford Foundation as a strand of Challenging Inequality through Creativity and Free Expression to support the Pittsfield Moves! program. The Ford Foundation is one the world’s largest philanthropic foundations focused on global social change. “The Pittsfield Moves! program is a brilliant way of engaging the community with the arts, and enabling a people-centered approach to creativity. We look forward to seeing the vision and imagination of Pittsfield residents come to life through this pioneering partnership with Jacob’s Pillow,” says the Ford Foundation. Read the full Pittsfield Moves! press release. Thanks to Berkshire Salsa, First United Methodist Church, The Funk Box Dance Studio, and the Lichtenstein Center for the Arts for supporting this project. Thank you to our partners: Working Cities Pittsfield, Railroad Street Youth Project, Berkshire Children and Families, Berkshire County Branch NAACP, Youth Alive Step, Dance, and Drum Line, Manos Unidas Multicultural Educational Cooperative, Transformative Development Initiative, and Cultural Pittsfield.